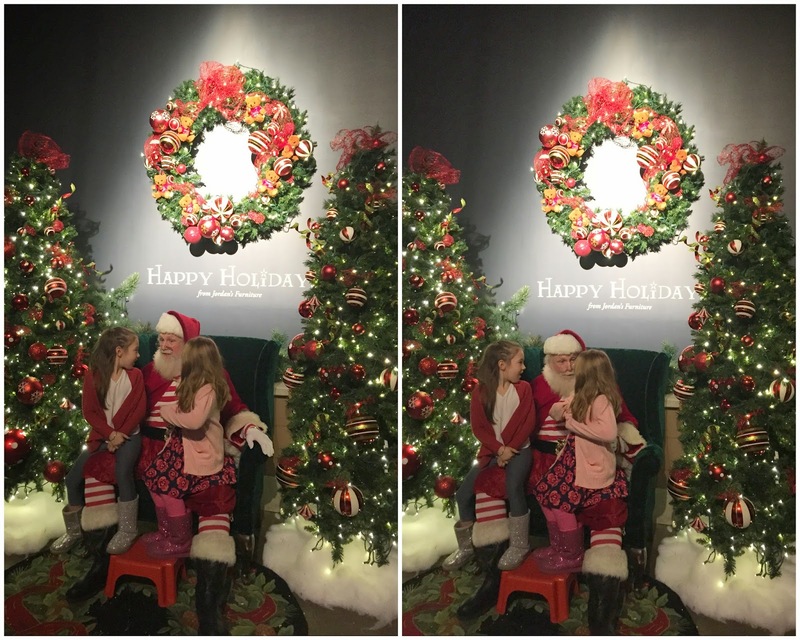 I had a fabulous weekend with plenty of time for relaxing, watching several Christmas movies, eating yummy treats and spending quality time with my nieces! I really can't believe that Christmas is THIS week. It came SO fast and I still have some shopping and wrapping to do (oh and I need to finish decorating my tree - oops)! For the 3rd year I took Peyton and Ella to The Enchanted Village. They are old enough now that they remember it from previous years which makes it a lot of fun. They look forward to seeing certain things especially the snow (it snows inside while you walk through the village). The only way to survive the very long lines at The Enchanted Village is to bring an activity and to bring snacks. . . lots of them. I picked these Frozen white boards up in the Target dollar bins a couple of months ago and they were a huge hit. The girls played with them every time we waited in a line and they were SO good! After you walk through the Village you get to see Santa! This Santa was awesome! He talked to the girls and told them "secrets" which was so cute. They got a huge kick out of it and really liked talking to him! It was just precious. 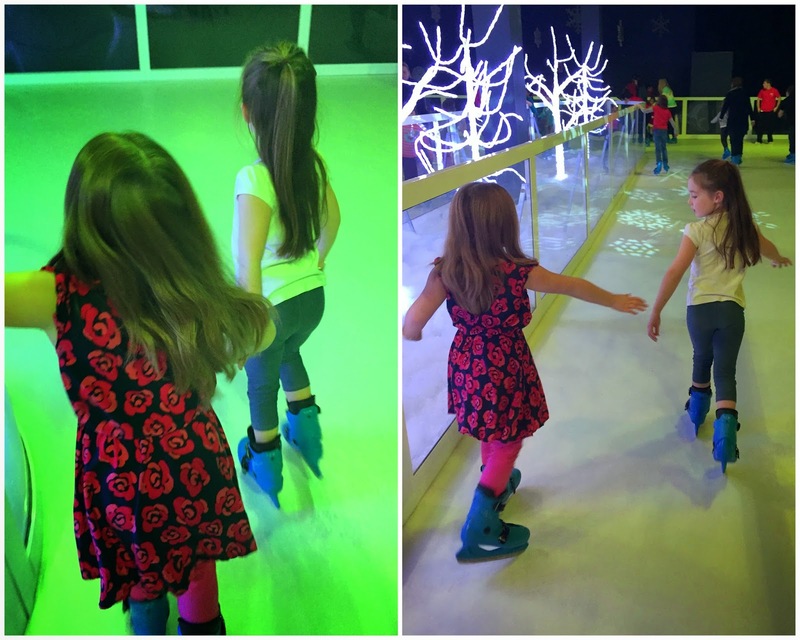 I hadn't planned on going ice skating but Peyton begged so we decided to check it out. When I realized it wasn't actually real ice I figured we could (safely) handle it. 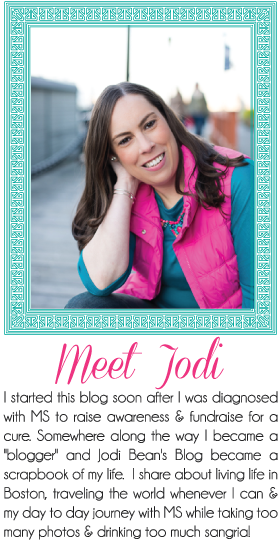 Auntie Jodi didn't want to be responsible for any injuries right before Christmas! We had a blast and both of the girls were fast learners. I think they have found a new hobby and will be asking to do it again very soon! Oh look here they are using their white boards again! In addition to waiting in line to get into the Village we also had to wait in line for Santa and to view our photos so I am glad these things entertained them so well. Since The Enchanted Village is set up at Jordan's Furniture you of course have to walk out through the ENTIRE STORE. The girls love looking at the children's furniture and they thought these chairs were pretty cool! Our $32 dollar photo! 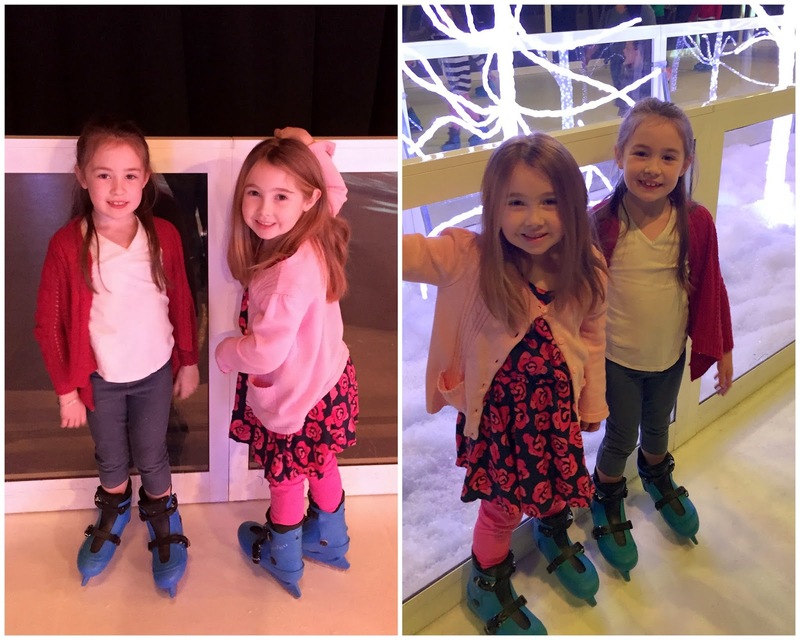 The Enchanted Village is free but of course you spend a million bucks on snacks, ice skating and photos so it is a good thing that Christmas traditions and making memories with my nieces are priceless! To see our visit to The Enchanted Village in 2012 go here and in 2013 go here! Linking up for the very last Monday Morning Gossip (so sad to see it go) and for Weekending! They are getting so big! What a fun place!! They looked like they had a blast. The Ice Skating part seems interesting. Looks like they had a great time at Enchanted Village. that looks like SO MUCH FUN! man, wish i was a kid again!